There is something to be said about films that I probably shouldn't have any interest in, but really enjoy nestling down with anyway. They are films that aren't necessarily bad; that I don't enjoy watching in a guilty pleasure capacity seeing as "guilty pleasures" are not typically held in high regard. Instead, these films I sometimes latch onto aren't necessarily labeled with negative connotations, but more accurately are labeled more for a specific crowd or demographic that I wouldn't necessarily fall into. 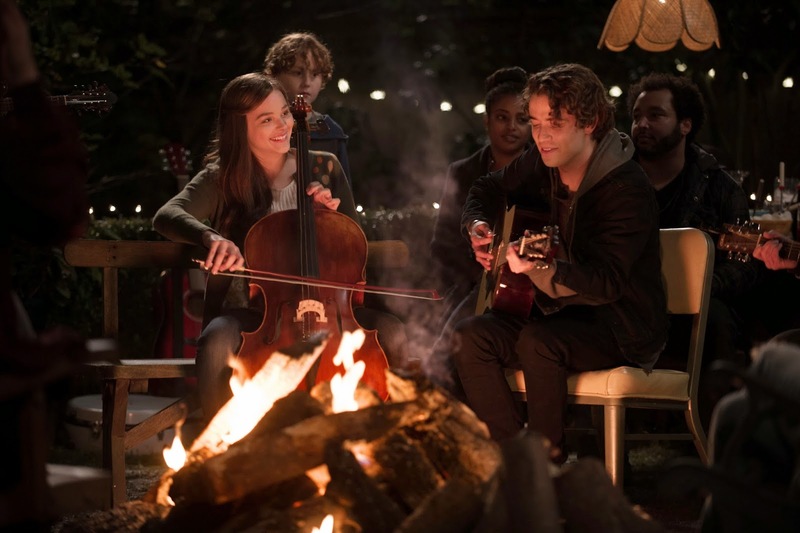 R.J. Cutler's If I Stay is a perfect example of the type of film I'm talking about in that I am in no way the target audience for this young-adult novel inspired flick for teenage girls, but regardless I was still able to take away a fair amount of appreciation for what is being attempted here. There is, in short, a certain depth to the story and the way it is framed that clearly comes from Gayle Forman's novel of the same name. It is reaching for something more, something ambitious in the vein of its philosophical thought and the relation of our existence to the point in life our protagonist exists at in this story. Would she ultimately make a different final decision were she at a different point in her life and under different circumstances? Probably, yeah. She may also make the same decision, but would of course be swayed by different factors and the endless possibilities of this scenario that have been dialed down into this specific being at this specific time in her life is fascinating for doing so. You can imagine an endless amount of possibilities when coming to terms with the idea that we have the power to make such a critical choice and coming to terms with that power is enough to intrigue us to be interested in the path that leads Mia (Chloë Grace Moretz) to make the decision she does. I imagine Forman chose the age of her protagonist in that the heightened situation of life and death and the decision to stay or go is mirrored by the general transitional period in life that Mia exists thus creating a similar disposition in both the main story and the one that sets-up the flashbacks through which the majority of the story is told. Don't get me wrong, If I Stay isn't necessarily a breathtaking experience or one that is as emotionally affecting as it thinks it is, but besides running on fumes for a good portion of the second act the film has more to offer than I would have ever anticipated. Mia (Chloe Grace Moretz) joins boyfriend Adam (Jamie Blackley) in a duet she never expected. Mia comes from a family of punk rockers who live with a "fly by the seat of your pants" mentality and was raised within the concert scene as her dad played drums in a popular local band. Once her younger brother Teddy (Jakob Davies) was born though her father Denny (Joshua Leonard) and mother Kat (Mireille Enos) decided it was time to get their act together. Now, the family lives a quiet, yet hip life in the suburbs of Portland. Denny is now an English teacher and Kat a travel agent so when it is announced on the day we initially meet the Hall's that it is a snow day and school is out Kat decides to call in and make a day of it by visiting Denny's parents (Stacy Keach and Gabrielle Rose) who live close by on a farm. It is on this car ride out to her grandparents farm that things change for Mia forever. As the car rounds a corner on the icy roads a pick-up truck comes squealing around from the other direction resulting in a head-on collision and Mia being thrown from the car with the rest of her family in uncertain, but similar circumstances. From here the story is conveyed through Mia's, for lack of a better word, out of body self who sees all of what is occurring as she is rushed to the hospital, put through surgery and hooked up to countless machines in hopes that she may wake from her coma-like state. It is her out of body consciousness that is allowed to make this decision though and through her deliberation and recounting of the memories that inform her decision we are told the story of her romance with Adam (Jamie Blackley) and their shared love of music. It was once thought the toughest decision she would have to make would be whether to pursue her musical dreams at Juilliard (in which her audition plays a large role and allows for a good amount of tension) or follow a different path to be with what turns out to be the love of her life. For the record, it is not that this turns out to be more of a love story than a study of the human condition and what makes the features of that worth sticking around for that the label of "chick-flick" has been embossed on this film, but more because it features a female protagonist dealing with teenage girl issues. Yes, there is a large amount of boy meets girl, girl resists for fear of the unknown and boy pursues for the light of pure admiration and not lust that has struck him, but more than anything this remains Mia's story and her contemplation of what path is worth more to her. It is about the process she has to go through to determine her fate. It is a massive decision brought down to a personable scale and more than Cutler's direction or Shauna Cross' script it is Moretz's performance that makes this situation and all its caveats stick without the audience getting lost in what could have just as easily felt like movie-purgatory. Moretz has always been an interesting, yet somewhat ambiguous actor who rose to prominence for being provocative at a young age, but instead of pushing that edge further as she gets into her late teens has turned more to what you might "hope" a girl of her age might look to be a part of. Moretz lends her credibility to projects that might otherwise be left in the hands of not only lesser talent, but hands that would certainly not draw the kind of attention she is able to bring to these types of standard, but under-appreciated genre films that have bigger intentions than simply being a generic piece of entertainment. With the onslaught of YA-adaptations filling the multiplexes these days it is refreshing to see a female-centric film that tells a more human story than those based in dystopian environments where our heroine must rise-up and defeat the over-bearing dictatorship. If I Stay is made more genuine by its performances from Moretz and Blackley who successfully convey what is typically hard for older audiences to buy into, that being an authentic, young-love relationship. Leonard and Enos also do well to provide an unexpectedly cool tone to the proceedings while Keach in particular shines in his one go-for-broke scene. Mia has an out of body experience in If I Stay. What I enjoyed most about the movie though is that it didn't feel the need to document this relationship from beginning to happy ending, but rather it is an example of displaying how we determine what our lifes decisions are worth.The love story is a surrogate for any situation an audience member might be going through and when backing up to look at what we do in our lives and where our decisions tend to take us through the lens of laying on our deathbed it brings a significant amount of added weight to such decisions. This makes the film feel like not just another story of teen romance, but one of perspective that comes into our protagonists life when she may not have enough to make as informed a decision as we expect her to. To this effect the framing device works beautifully in that the entire film takes place in the span of a single day with the flashbacks filling in the gaps of those who rush to see Mia in the hospital and how they are connected. The films downfall comes from being about fifteen minutes too long and going back one too many times to the same argument between Mia and Adam about Julliard and their future to the point the second half of the film begins to drag and feel redundant. 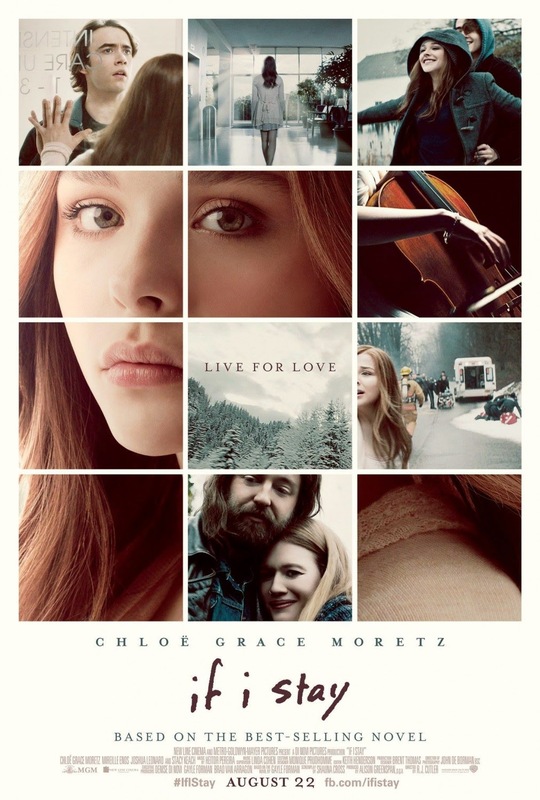 As is evident by my empathy for the films position in our cinematic landscape and its characters situations I liked this movie more than I probably should have and though I would still recommend the more emotionally resonant The Fault in Our Stars to people over this one, you could of course do much worse than If I Stay. You will have those that call it melodramatic or even boring and dumb (or corny) and I can of course see where those opinions stem from although I'd expect these to come from people or critics so far removed from the target demographic they have little impact on the perception of those the film is meant for. Still, as someone who feels they are looking in from the outside, for a film not made for me from a "what we are supposed to be" standpoint this is a film that entertained me for the majority of its running time and at the very least offered an interesting insight into a world of "what ifs" that doesn't beat us over the head with reality, but enlightens with hope and opportunity.